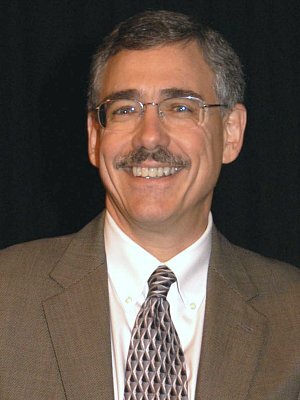 James E. Orlikoff is president of Orlikoff & Associates, Inc., a consulting firm specializing in health care governance and leadership, strategy, quality, and organizational development. He is the National Advisor on Governance and Leadership to the American Hospital Association and Health Forum, and is the Senior Consultant to the Center for Healthcare Governance. He was named one of the 100 most powerful people in healthcare in the inaugural list by Modern Healthcare magazine. Mr. Orlikoff has been involved in leadership, quality, and strategy issues for over twenty-five years. He has consulted with hospitals in six countries, and since 1985 has worked with hospital and system governing boards to strengthen their overall effectiveness and their oversight of strategy and quality. He has worked extensively on improving the relationships between boards, medical staffs, and management. He has written fifteen books and over 100 articles. He is a member of the Virginia Mason Health System board in Seattle, WA, and is chair of their Governance Committee. He is also a member of the Pitzer College board in Claremont, CA. He is an author of the book Board Work: Governing Health Care Organizations, which won the ACHE James A. Hamilton Book of the Year award for 2000. He is the primary author of The Future of Health Care Governance: Redesigning Boards for a New Era; the primary author of the best selling book The Board's Role in Quality Care: A Practical Guide For Hospital Trustees. He is the primary author of Malpractice Prevention and Liability Control for Hospitals. He is also the author of Quality from the Top: Working with Hospital Governing Boards to Assure Quality Care and The Guide to Governance: for Hospital Trustees. Bring useful, high quality ideas and expertise to governing boards and senior leaders in healthcare. Provide timely and valuable content at a cost that allows leaders of all healthcare organizations to participate - whether they're in large systems, or small critical access hospitals. Guide your board toward the new and challenging governance strategies that are necessary to successfully provide oversight, withstand scrutiny and minimize liability. Prepare for new expectations of governance bodies, and translate emerging best practices. Create a tailored action plan to use in your organization as seminar leader James Orlikoff presents approaches to governance that are critical to optimum organizational performance and your own effectiveness. We're sorry. This speakers currently has no video to display.